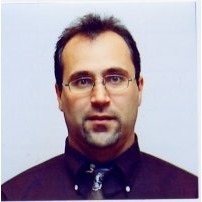 Michael Becce is the founder of MRB Public Relations & founder/adminstator of TechJournalists.com. He has helped numerous startups obtain visibility leading to record setting funding and acquisition. the people with money want guarantees. If startups could give them, they wouldn't nered the money. Good ideas or products need evangelists. Tell the world what you have. Stop keeping evreything so dambn secret. Someone else has YOUR idea. Don';t believe me? Hang on to it for a while. Great ideas have applications in multiple markets. Let market experts help show how yours ideas can be used to help their industries. The more people who know what you do, the more will think of how to apply in their market. Michael founded MRB Public Relations in 1992 and continues a hands-on approach with each of MRB's client base. Becce has been quoted in leading publications including the Wall Street Journal, Fortune, Forbes, Entrepreneur, Success, PR Week, and BusinessWeek. He is also distinguished writer with nearly one hundred stories published in leading business, technology and marketing publications. Deemed "My Favorite Flack" in Sam Whitmore's Media Survey, Michael has enjoyed a powerful reputation with influential media by providing valuable information and assistance with story development. Michael has launched a crusade to help the PR industry clean up its image. He is a frequent speaker at colleges and universities around the country. Michael began his career at Saatchi & Saatchi, New York, where he worked both corporate and client public relations. He then went on to Trent & Co., New York where he gained a wide range of experience publicizing consumer products, business-to-business products and services, and personalities. Becce has helped numerous startups off the ground, as well as consulted for many leading organizations including Microsoft, IBM, Intel, the U.S. State Department, CNN, Coldwell Banker, NASA, Unisys, and many others. He is a member of the BusinessWeek Market Advisory Board, CEO Council, IDC Mobile Advisory Council, CMP Channel Advisory Council and the New Jersey PR Roundtable. Michael is now connected to Jeffrey Frichner.